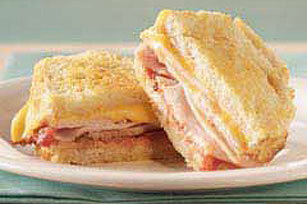 Put a southwest-style spin on your next turkey and cheese sandwich. Add some salsa and grill until golden. Spread 1 bread slice with salsa; cover with turkey, Singles and remaining bread slice.